Failure is one of the most essential components for happiness and success. As toddlers we fail all the time without understanding the concept and stigma of failure. First, we fail at crawling, then standing, then walking, then talking, etc… Toddlers do not understand societal pressures and therefore, through innate persistence, repeat these behaviors until success is achieved. Although they don’t understand failure, they do understand success. Success for the toddler is rewarded by parental quality of tone in their voice and actions taken. Failure is also addressed, but in a kind and gentle manner. Therefore, success and failure both act to propel the toddler forward to developing the skills necessary to succeed. As these toddlers grow older and become young children followed by adolescents and then young adults, the concept of failure changes. Its creates separation among children. Schools create advanced track classes and “standard” academic track classes. Children who have not “achieved” as much success academically, are placed in a social class as “standard achievers” with lower expectations. These children are expected to fail more often, yet the gentleness that once helped motivate further effort to succeed is replaced with punishments and reprimands. Since children do not have the wisdom of time and experience on their side, failure becomes painful which leads to avoidance. This path in life is traveled for many years in many cases right into adulthood. It creates fear and anxiety and becomes “baggage” we have to carry often unknowingly. Until we recognize our fear of “failing”, many people live a lifestyle within defined boundaries. I term these boundaries the “Safe Zone.” This zone is judged by the greater population as the “acceptable” place in life. We find employment, many will marry, many will start new families and most will promulgate the same life patterns onto the next generation that created the fears of failing as the previous generation. This cycle needs to be recognized and corrected if we seek change. This concept of “failure” is so important, it ultimately affects our physical and mental health and our ability to lead a happy and productive life. How can we create a new paradigm with a better outcome? Change the meaning of FAILURE: Currently failure is defined as, “a lack of success.” I believe this definition is completely inaccurate. It is my opinion that any attempt to do something that initially falls “short of the target” is a NECESSARY step in ultimately achieving SUCCESS! We are not perfect creatures. With hard work and effort, most of us can improve whatever task we undertake with patience and support. This new concept of PATIENCE and SUPPORT will return us to the days of gentleness and encouragement to help people achieve rather than destroy them by increasing their fears of failing. Recognize improvement: Parents didn’t ignore their toddlers until they achieved a state of successful walking. They supported the PROCESS. As adults, we do not support people along the way. We either reward or chastise the end result. As people begin new ventures in life, we need to offer support to assist the PROCESS to achieve better results with less personal conflict. I term this “re-direction.” Life is not linear. 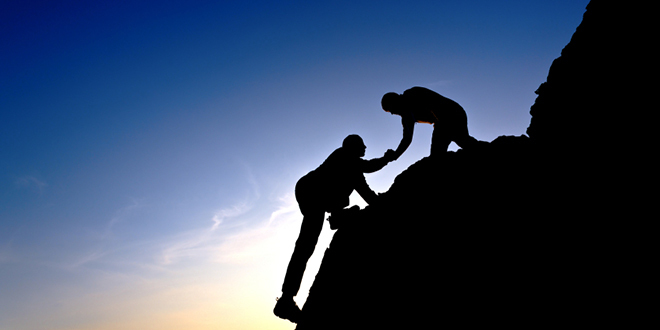 By assisting the individual the PROCESS leads down a less bumpy road. This reduces the individual fear and makes a successful outcome more achievable. Treat people as individuals: Each person has different needs to maximize performance and outcomes. Don’t create a “cookie cutter” process and force each person to comply. A good support group (whether in business, family or true friends) will look for the shortcomings in the PROCESS, not the individual. Let KINDNESS be your first reaction: Many of us REACT to people and situations. The end result is commonly fear and pain. Take one extra minute to evaluate the situation in its entirety. This will allow you to RESPOND rather than REACT. Finally, recognize we all live in the same world and basically have two choices; we can be as happy or as miserable as we choose. I encourage you to seek and find good in others. It isn’t hard to do and produces healthier and happier outcomes. What steps would you like to see taken to change the PROCESS? So true! Success is made of failures. People who are willing to fail and learn from the failure can achieve almost anything. Perseverance (sometimes know as stubborness) can be a wonderful quality if harnessed properly! Absolutely. Any information I post that you use will magnify the message based on the power of your blog site. ← CAN EVERY DIET PLAN BE RIGHT?